Do you love that amazing sausage and potato soup from Olive Garden? 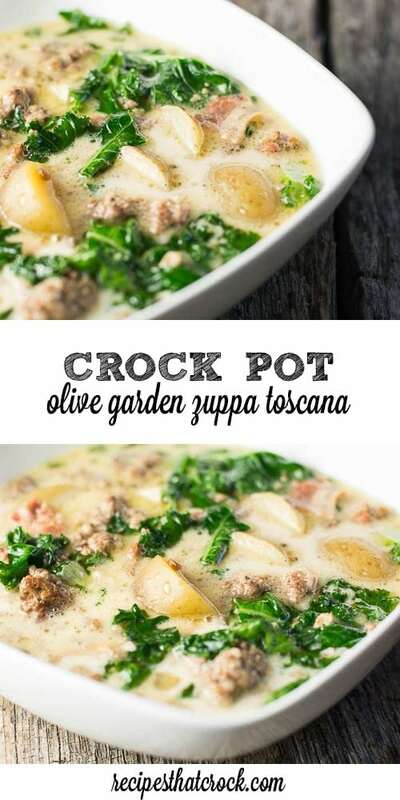 Our Crock Pot Olive Garden Zuppa Toscana Recipe is that same hearty Tuscan soup, adapted for your crock pot. Check out this video from our cooking show. We found the base recipe for this tasty soup in Gooseberry Patch’s Church Suppers and it quickly became our favorite of the Olive Garden copy cat recipes we have attempted. This soup has been a staple every winter since we first saw it shared on my dear friend Jent’s blog years ago. (Check out her stove top version of the soup). So, the other day I decided to try and take my hand at making it in the slow cooker instead and it was fantastic– as always. It is one of those great recipes I can put on in the slow cooker and run to get Add from school or a couple errands and come back to perfection every time. We aren’t huge kale fans in this family… however, we LOVE it in this recipe. It can be found in your produce aisle either in bunches or even cut up in bags. We love the little yellow butter potatoes or reds in this soup. You can really use any potato you like, but I prefer the creamy texture of the softer potatoes. If you are looking to cut the recipe down a bit fat wise, you can substitute half and half for the cream. We have done this often and you don’t really miss it. Note: If this video does not load properly, you can watch it on YouTube by clicking the button below. 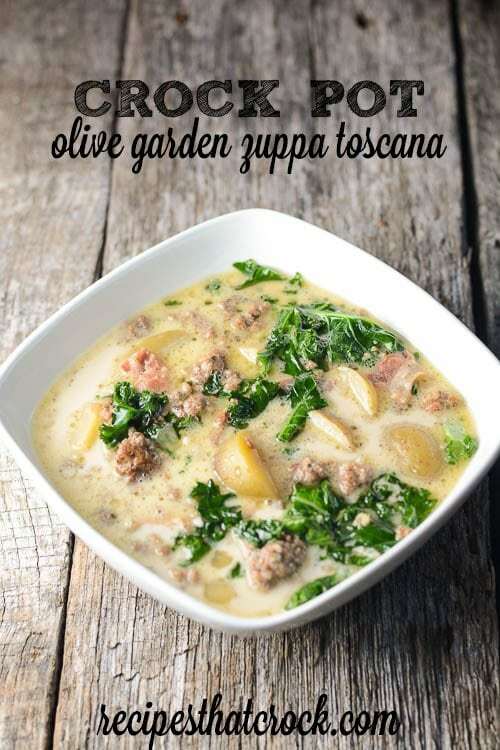 This Olive Garden Zuppa Toscana Recipe is a fantastic hearty Tuscan soup that is one of my family's favorite Olive Garden Copy Cat Recipes. 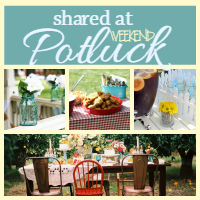 We altered a great recipe we found in Gooseberry Patch's Church Suppers to make this a crock pot recipe. Place sausage, onions, bacon and garlic in your crock pot along with broth and potatoes. I am in big-time love with my new all-in-one slow cooker that has a browning setting to allow you to brown your sausage (and cook up your onion and bacon) IN the crock pot. It works perfect for this soup and I LOVE how easy the non-stick surface cleans up! However, this soup will do well in any 5-6 qt slow cooker. This was super. Great flavors and my teens loved it….even the kale! A definite keeper. Every recipe I’ve tried so far at this site has been fantastic! Is that tea or tablespoon for garlic? Hi Chris- Feel free to add to taste. The recipe calls for 1 teaspoon but we often add quite a bit more because we love garlic. Enjoy! Hi! I wanted to make this for Christmas- I usually have a house full of family and I think I’ll need to at least double this recipe. Do you have any idea of how to adjust the cooking time to accommodate doubling the ingredients? Thx for your help!! Doubling it shouldn’t be an issue. I’d just make sure to use a 6 quart or larger slow cooker and then cook on low for 6-8 hours.- Enjoy! I actually used way more kale than you call for- it brought so much to the table! The hubby also loves pepper, so I added some of that to the top when I served it. This recipe is fantastic, and the soup is delish! Definitely adding it to the recipe box. What — no seasonings? Salt and pepper at the minimum — adding ground fennel seed will send this recipe to the next level! Hi Liz- Feel free to add what you like. We didn’t need any additional seasonings or salt because the chicken broth brings plenty of saltiness for us and the sausage has the pepper and fennel flavor in it.Enjoy!